As the semester is winding down and Toronto's Hot Docs festival is starting, I thought I'd give you a list of the documentaries I showed in my class this semester. A few I have seen before, frequently, and a few I saw for the first time. Some I've been recommending to everyone. Since I teach a class on ecology and environmentalism (Happy Belated Earth Day!) they all have a bio focus. I hope it inspires you to revisit a Bio Doc or check out a new one. Learning isn't just for college students, particularly mine. 1. Planet Earth - "Shallow Seas" episode. This was early in the semester. We were starting discussion of the emerging field of ecology and I wanted to be sure everyone had at least one experience in common besides the readings to talk about, so I showed one of my favorite episodes of the greatest nature documentary series of all time. Personally, I enjoy the David Attenborough narration instead of Sigourney Weaver, so that's the version I own and show. Sadly, we only got to watch about half of the episode. 2. 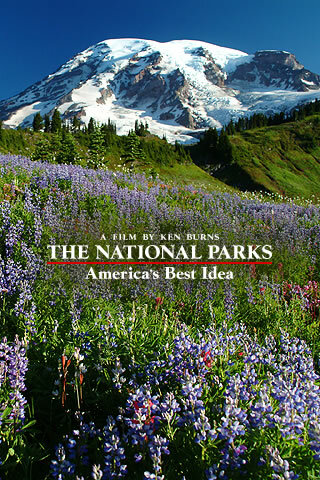 The National Parks: America's Best Idea "The Last Refuge (1890-1915)". Made by Ken Burns of the legendary series on the Civil War. However, this version is overall particularly dull. I really like this section on the influence of Teddy Roosevelt and John Muir on the creation of our National Parks in Yosemite and Yellowstone. But there are a lot of faults and I tend to do a lot of jumping around to avoid the particularly dull moments. 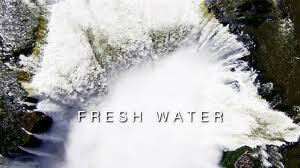 Beautifully shot, but only interesting if you're REALLY interested in the National Parks. 3. 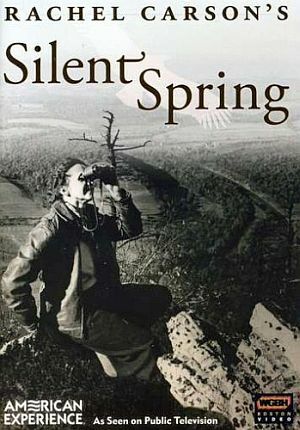 PBS American Experience Rachel Carson's Silent Spring. This was a lucky find at our library. It's a particularly great look at both Rachel Carson's life, both before writing Silent Spring and the backlash that resulted afterward. One of the things that really good documentaries can do is put their story in a context that later viewers can understand. There was a scene from this film that reminded me a lot of The Tree of Life showing the trucks spraying DDT in suburban areas and kids running through the cloud of poison. I actually showed the trailer (the scene appears about ninety seconds in) to my students to show it in a different context. 4. Earth Days Another lucky find, this time on Netflix. Made in 2009, it shows the creation of the first Earth Day (April 22, 1970) from the perspective of almost a dozen influential people in the 1970s environmental movement. Some were congressmen, another was an astronaut, and others were the actual 20-something organizers that scared Nixon enough to pass the Clean Air and Clean Water Acts. 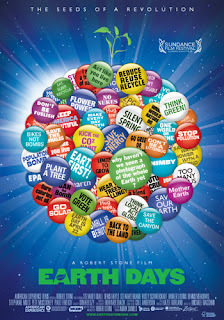 The movie does an exceptional job of showing how the environmental movement changed through the 1970s with Paul Ehrlich's The Population Bomb and Limits to Growth and ultimately was nearly reversed when Reagan came to office. This holds up my theory that it's really hard to know much about the history of years around your own birth and this movie did a terrific job of articulating the environmental movement in years I hardly have a handle on. Highly highly recommend this for anyone will an interest. On another film note - the scenes of NYC in the 1970s look a lot like movies from New York in the 70s. That gritty, smoggy look to the air was pollution and NOT an effect. 5. 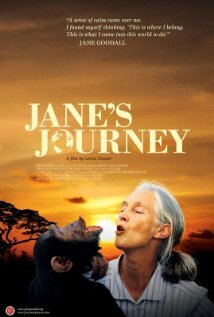 Jane's Journey Jane Goodall has done amazing work for chimpanzees and conservation around the world. I assumed when I saw this film from 2011 that it would highlight a lot of that. Instead, you get 20 minutes of her work with chimps and conservation and then nearly 90 minutes of Jane's difficulties with her son, her divorces, and other problems. It was titled appropriately, but marketed as if it was a nature film, much like the recently released Chimpanzee. Sadly, not appropriate for work - at least when your work is trying to get freshmen interested in conservation and field work. Great list! Did you ever catch up with PROJECT NIM? I haven't caught PROJECT NIM, but I'm sure I will. Definitely check out Earth Days. Or at least recommend it to Lindsay. Have you ever seen Baraka? It's pretty stunning visually and it might have something to do with ecology. I haven't see Baraka - just looked it up and it looks fascinating. Great suggestion. Oh cool, I heard you talk about these on The Matineecast. I want to check out Jane's Journey. Jane's Journey was good, just nothing like what I was expecting. I'd really recommend Earth Days too.